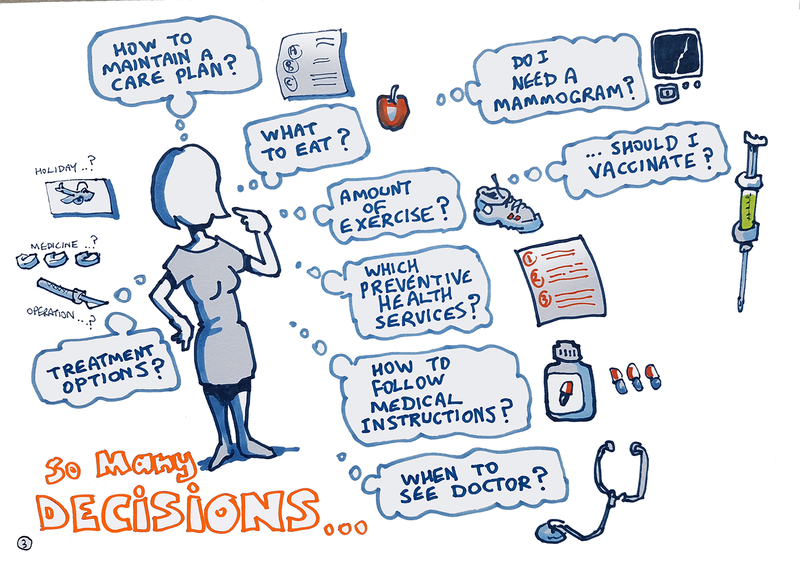 Health Literacy for Preventive Care in Primary Health Care Settings: what do we need to do differently? 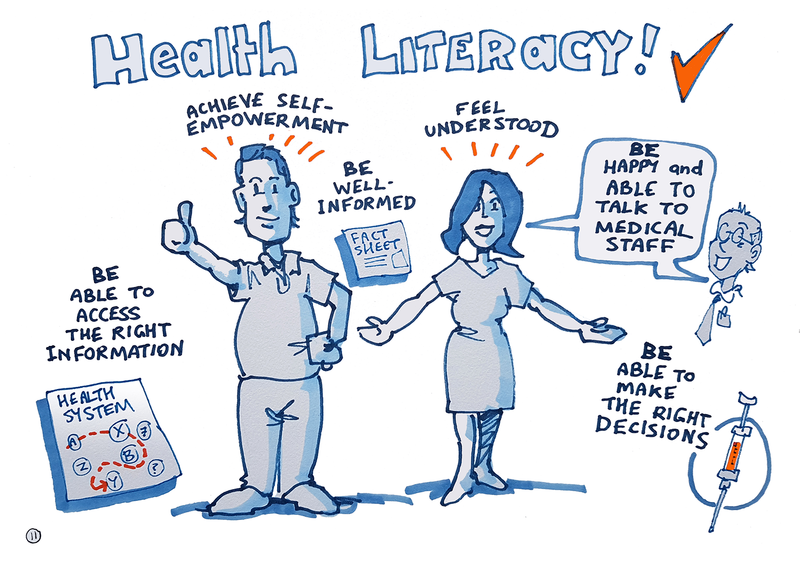 Health literacy is about how people understand information about health and health care, and how they apply that information to their lives, use it to make decisions and act on it. Health literacy is important because it shapes people’s health and the safety and quality of health care. Low levels of individual health literacy contribute to poorer health outcomes, increased risk of an adverse event and higher healthcare costs. (Australian commission on Safety and Quality in Health Care). At the symposium internationally recognised experts on health literacy and primary health care showcased latest evidence on effective strategies for improving health literacy and discussed the implications for preventing and managing obesity in primary health care settings. Program of the day listed below with powerpoint slides, audio recording and graphic illustrations of the presentations. Health Literacy and Equity: understanding the relationship. Professor Don Nutbeam, The University of Sydney, developer of the health literacy model that delineated functional, interactive and critical health literacy. Please click for presentation powerpoint slides, audio recording or graphic illustration. Health Literacy in Primary Health Care: what we have learnt. Scienta Professor Mark Harris, Director of COMPaRE-PHC, Executive Director of CPHCE, UNSW and lead investigator on multiple studies of health literacy in primary health care in Australia, including the Better Management of Weight in General Practice study (BMWGP). Measuring and Addressing Health Literacy in Primary Health Care. Professor Richard Osborne, Deakin University, developer of the Health Literacy Questionnaire and the Ophelia Approach. Please click for powerpoint slides, audio recording or graphic illustration. Quality Improvement and Health LIteracy: setting the agenda. Naomi Poole, Australian Commission on Safety and Quality in Health Care, which developed the Australian government’s Health Literacy National Statement. Health Literate Systems: what is effective? Professor Kirsten McCaffery, behavioural scientist at University of Sydney and leader of the International Health Literacy Network. Please click for powerpoint slides or graphic illustration. Please click here for audio recording for Professor Kirsten McCaffery and Dr Jane Lloyd presentations. PANEL DISCUSSION - Putting it into Practice. Panel discussion facilitated by Associate Professor Gawaine Powell Davies. Panel: Mr Rene Pennock, Dr Charlotte Hespe, Mr Russell McGowan, Prof Richard Osborne and Prof Kirsten McCaffery. Please click for audio recording or graphic illustration. Click here for the health literacy symposium media release.